← Quotas for EU-Based Expat Brits? 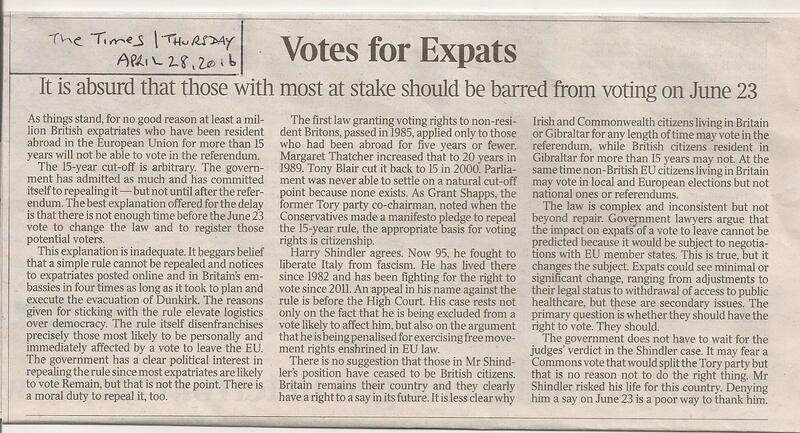 This entry was posted in Votes for Expats-The Times 28 April 2016, Voting Rights and tagged 15-year-rule, British expatriates, EU Referendum. Bookmark the permalink.